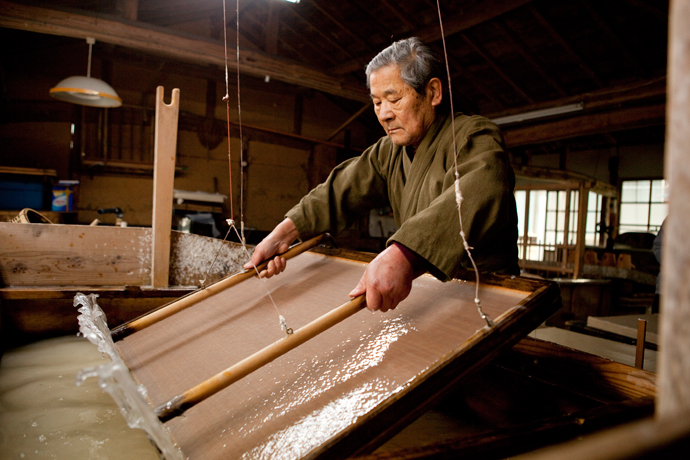 The Shosoin in Nara possess Japan’s oldest census documents, family registers made in 702 from the three provinces of MINO, TIKUZEN, and BUZEN. 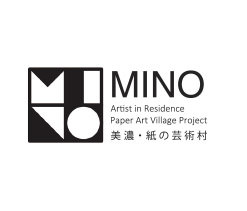 The paper used for the Mino census in particular is exceedingly technically advanced compared with that used for the other two provinces. 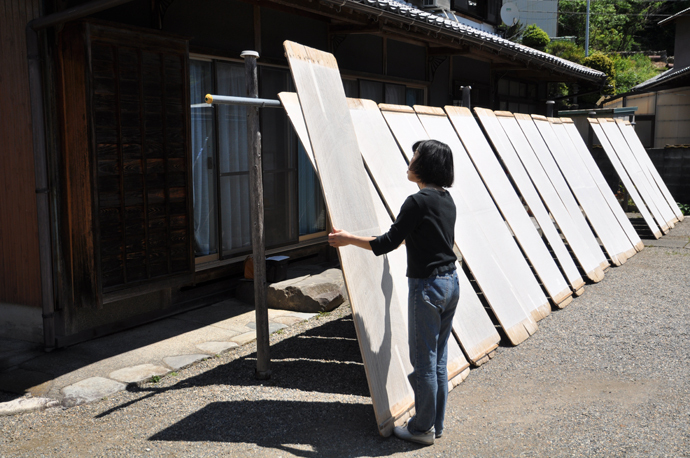 In medieval times, Mino washi paper was frequently mentioned in the letters and records of the noble and priests in the capital of Kyoto. 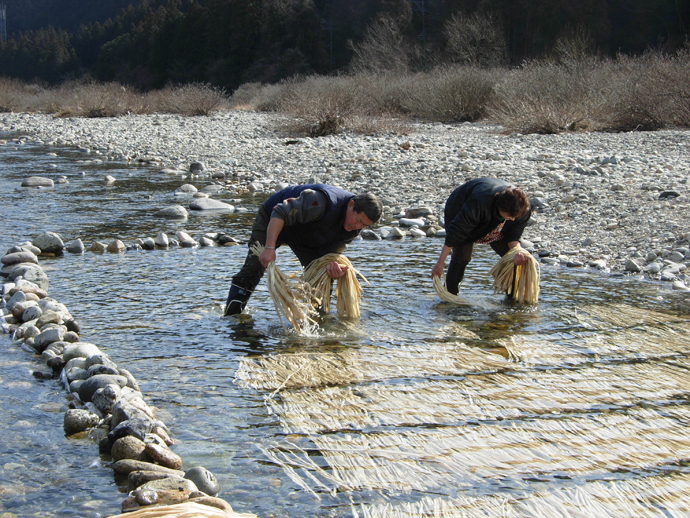 From early modern times to the present day, Mino has been a washi paper treasure trove, producing all varieties of washi in the regions of Mino. 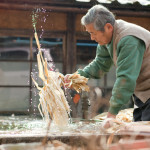 In this way, the traditional techniques of Hon-minoshi paper have been passed down through the ages to the modern era over a period of 1300years. 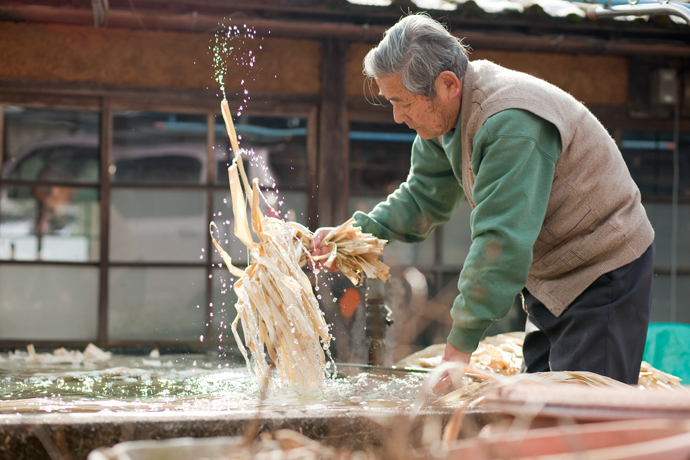 What makes Hon-minoshi paper so attractive is its soft, graceful color and the beauty of the regular vertical and horizontal interwining of its fibers as seen when it is held up sunlight. 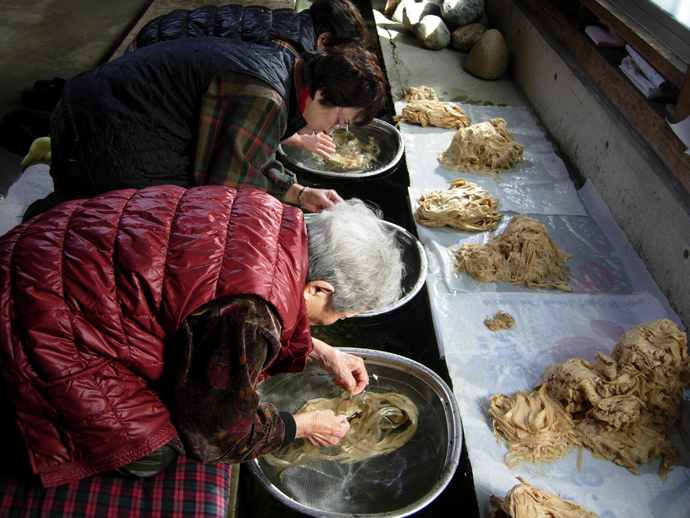 Kozo mulberry, assiduously boiled down to its white skin, is carefully processed into paper without the use of chemical additive and dried in the sun over a horse chestnut frame, using a natural method consistently in use since ancient times. 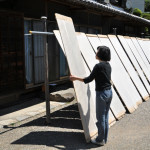 Hon-minoshi is also characterized by the use of high quality mats called “sogitsuke” and the addition of vertical rocking movements, unique to Hon-minoshi, to the standard horizontal rocking movements used when making washi paper, creating subtle and complex motions. 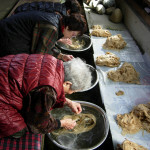 The association for the Preservation of Hon-minoshi Papermaking strives to preserve and pass on these traditional techniques.